Drivers that are caught speeding in poor visibility conditions are now going to be fined by the Abu Dhabi Police starting from 7th April. You will also be fined if you don’t keep a safe distance between you car and the one in front of you. So, you should always drive your used car in Abu Dhabi safely. 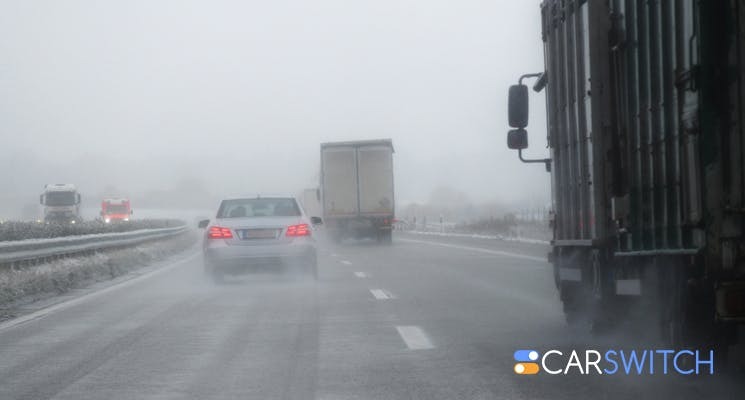 When there is a risk of sandy or foggy weather, used car owners will receive a message from the Department of Transport informing them of the hazardous weather. Warnings for the drivers will also appear as messages on signboards. As the visibility drops below 2000m, the speed limit that has to be maintained is 80 km/h. Drivers who go beyond the speed limit and don’t keep a safe distance will be charged a fine. As soon as the weather conditions and the visibility improves, the drivers can follow the routine speed limits posted on the traffic road signs. Citizens must understand that laws that deal with over-speeding, distracted driving and driving under alcohol’s influence are meant to keep both the pedestrians and the drivers as safe as possible. As a driver, you must abide by all the rules of road safety. If you want to upgrade your used car then, check out CarSwitch.com’s pre-inspected used cars for sale. Moreover, our process is hassle-free and transparent. Make the switch without a hitch!